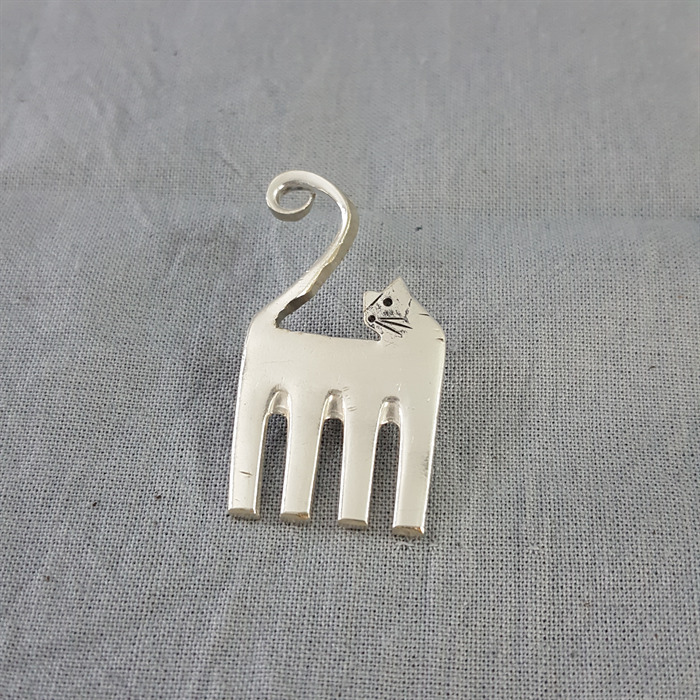 This cute cat brooch with a curly tail would make a unique and quirky addition to your jewellery collection or a great gift for a cat lover, especially if they love recycling too. It has been hand cut from a vintage silver plated fork and will give many years of wear. 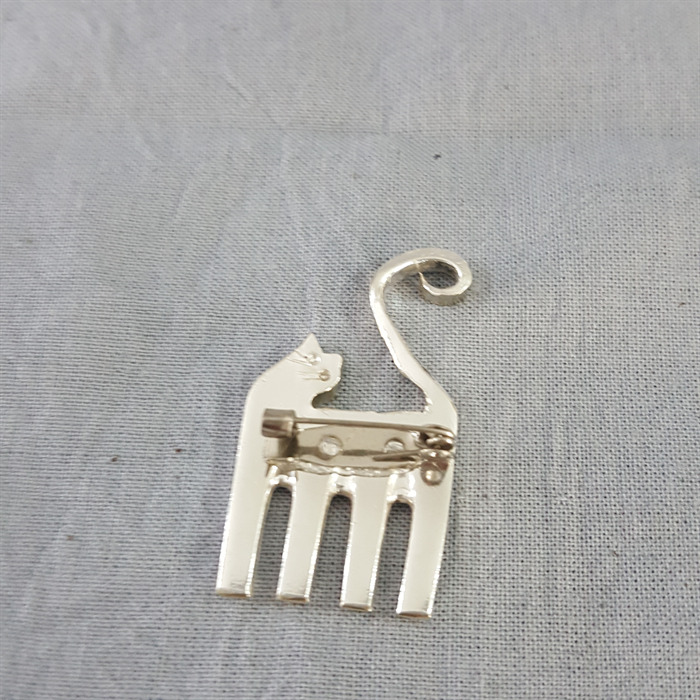 It measures 3.5 cm from toes to the tip of the tail.